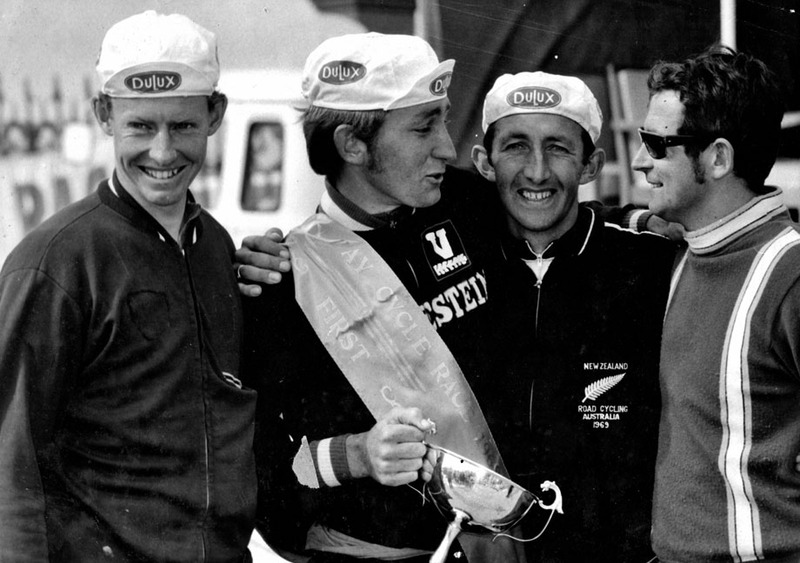 Retro Rider Interview: As the 101st Italian Grand Tour lines up for stage 2 from Haifa to Tel Aviv in Israel, Ed Hood looks back at the Giro of the 70s with New Zealand's first Giro d'Italia rider - Bruce Biddle. He liked it so much he's still in 'La Bella Italia'. PEZ: You came to Europe in 1970, Bruce – a big adventure back then? Bruce Biddle: I was with the New Zealand squad for the Commonwealth Games in Edinburgh – my plan was to make the team for the Games and then stay on in Europe. PEZ: And you won in Edinburgh on a horrible rainy day. We went through a very hard training program to prepare for that race – Warwick Dalton (a highly respected ex-road and track rider with Commonwealth Games medals on the track and stage wins in the Tour of Britain Milk Race to his credit, ed.) was our coach. He obtained details of the course – which was very tough with multiple ascents of a climb – and put us through a program based on how we’d have to perform on race day. What made it harder for us was that it was our off season. There were only two of us selected to ride the road race, Bryce Beeston and myself but Warwick pulled in two of the track team to ride as well – Harry Kent and Blair Stockwell, he said he wanted them to cover the early breaks whilst Bryce and I sat back. Blair brought back a move with two Aussies in it then I got away with three Aussies. The English rider, Dave Rollinson was the man to beat that day – he’d been riding very strongly in France and was hot favorite but Bryce marked him out of it. In the end it was a photo finish in the rain between me and Ray Bilney (Australia) – if you look at pictures of us on the podium, I’m not happy because I felt I should have dropped him on the climb and he’s not happy because he felt he should have beaten me in the sprint! PEZ: You remained in England in 1971 and had good results. I stayed in England with a rider called Bill Horne and his family – I was luck with that, they treated me very well. 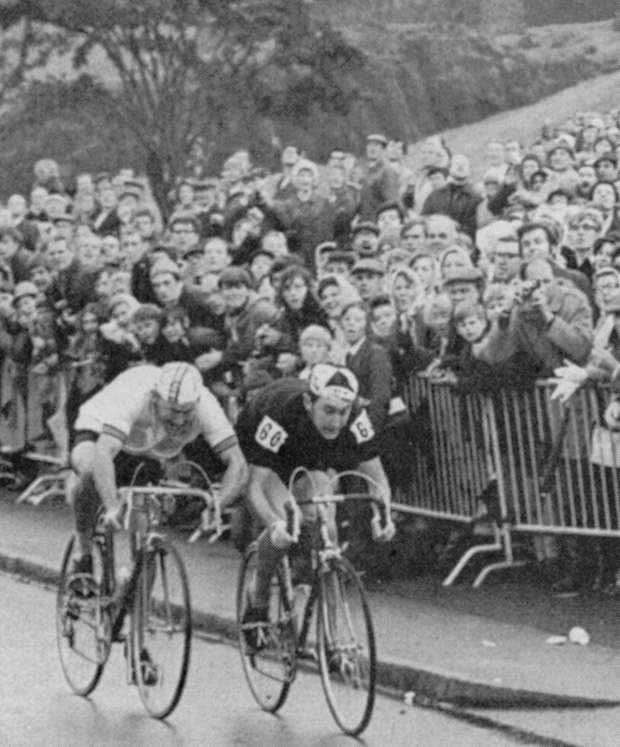 There was another New Zealand rider in England in ‘71, Bennett White and we rode the Milk Race, the Tour of Ireland and went over to Belgium to ride the kermises. In the winter of that year we were at a party and met this travel agent chap who got us plane tickets to South Africa. It was easy to get work in Johannesburg; we were saving so we could support ourselves for the next season. But then we met these Italian guys who suggested we come to race in Italy – so we did. In Italy we met the famous frame builder, Masi in Milan and Cino Cinelli who phoned some friends and got me into a club in Tuscany – it was a dream, a club in the absolute best region of Italy to be racing in. PEZ: You should have had a medal in the Munich Olympics in 1972, shouldn’t you? I prepared in Italy, every Sunday I was racing against the best Italians, including Francesco Moser. On the day my strategy was to follow the best Italians at the death – but Kuiper of The Netherlands took off to win and Moser was marked out of it. At the line it was between me, Phil Bayton (GB), Clyde Sefton (Australia) and Jaime Huelamo (Spain) for silver – Sefton won the sprint from the Spaniard and I was fourth but the Spaniard was later declassed for doping. They said I couldn’t get the bronze because I hadn’t been tested but the irony is that I presented myself at the control but they turned me away because I wasn’t on the podium. When you look back on those Games – drugs and terror attacks, little has changed in the world . . . We tried to get me the medal but after time it was hopeless – it would have been nice to stand on the podium on the day. 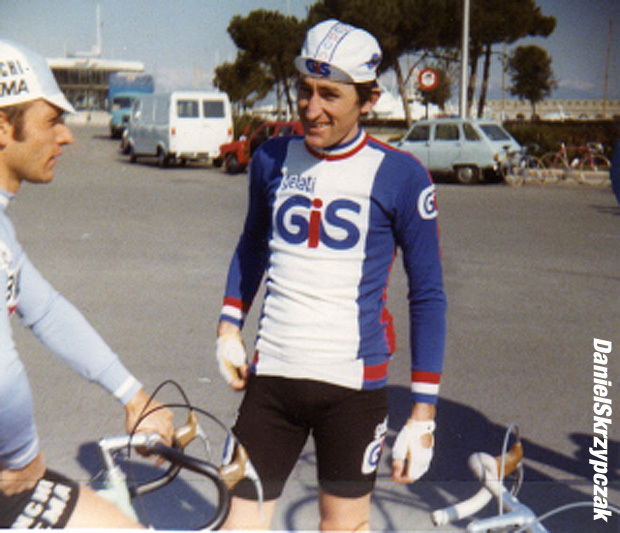 PEZ: You won the amateur Tour of Lombardy in 1973. That was probably my best ever season, I won 10 races including that one and was rarely out of the top 10 places. PEZ: You signed with Magniflex for 1974 and were there for ’75 too. Their idea was that they wanted a new, fresh team – young riders, new ideas, a new regime. 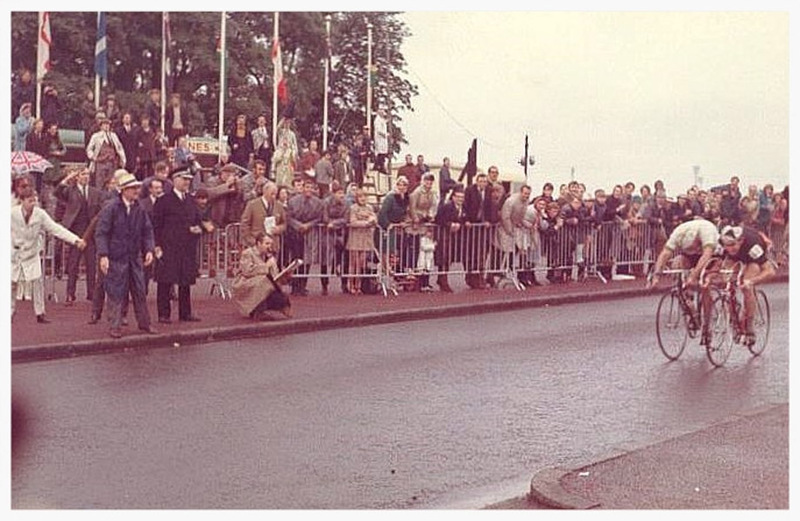 I found my first years with the pros dramatically hard; the amateur races I was used to were easy in comparison. Every race was hard, I don’t seem to remember breaks being ‘allowed’ to go like they are now, there was nowhere to hide, no way of pulling the wool over management’s eyes. Suddenly there a hundred guys as good as you and you had to demonstrate your value – that took me three years to achieve. It was very hard - there was no acceptance from the big riders until you proved yourself. PEZ: In ’74 you were third in Lazio – that was a strong result. Yes, behind Poggiali and Bitossi but I was going to come home after my two years with Magniflex, it was that hard. 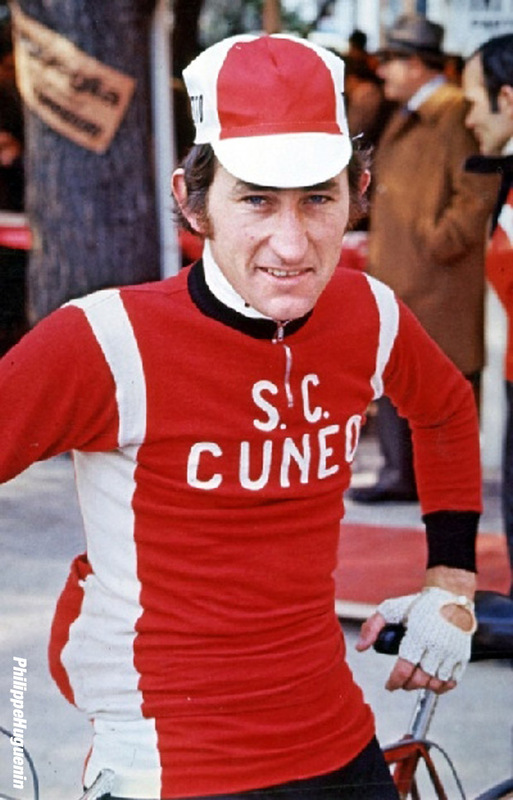 PEZ: Cuneo-Bonetto in ’76, I don’t remember that team? It was a bum team! I signed for Sanson for ’77 – that’s the year I feel I became a real professional. But they’d recruited Roger De Vlaeminck; they wanted to expand their market north into Belgium and because he brought riders with him the team ended up with too many foreigners and I had to go home – I remember Roger apologizing to me. If De Vlaeminck wasn’t there it was all about Moser, we all worked for him – our job was all about making sure he was there at the end, when it mattered. PEZ: Gis for 1978 – with Basso. 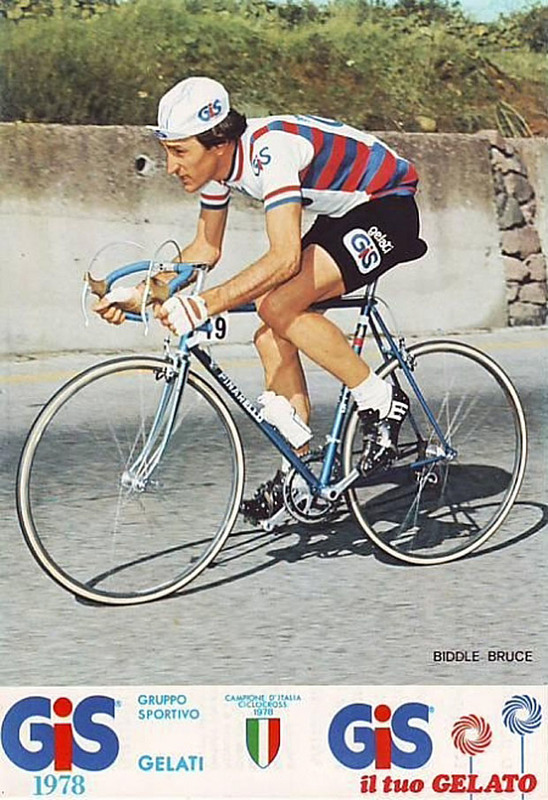 Basso was a typical sprinter, I roomed with him and got on well with him but we had Franco Bitossi on the team too – Basso had beaten him to win the Worlds at Gap in 1972. 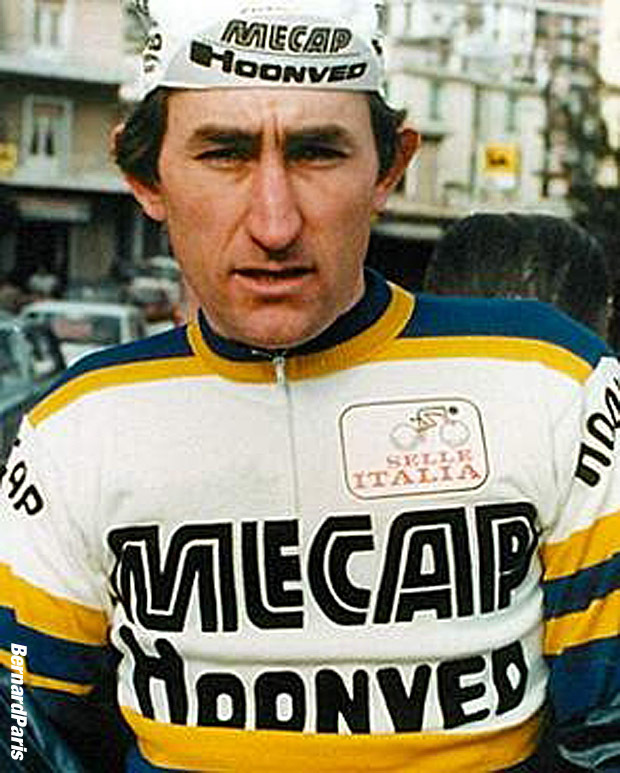 I remember Marino telling me how he’d tricked the French sprinter, Guimard into believing he was finished at the end of that race – but Marino won from Bitossi with the Frenchman third. Gis was different from Sanson, if you were in a position to win then you had your freedom. PEZ: The Mecap Hoonved squad for 1979. 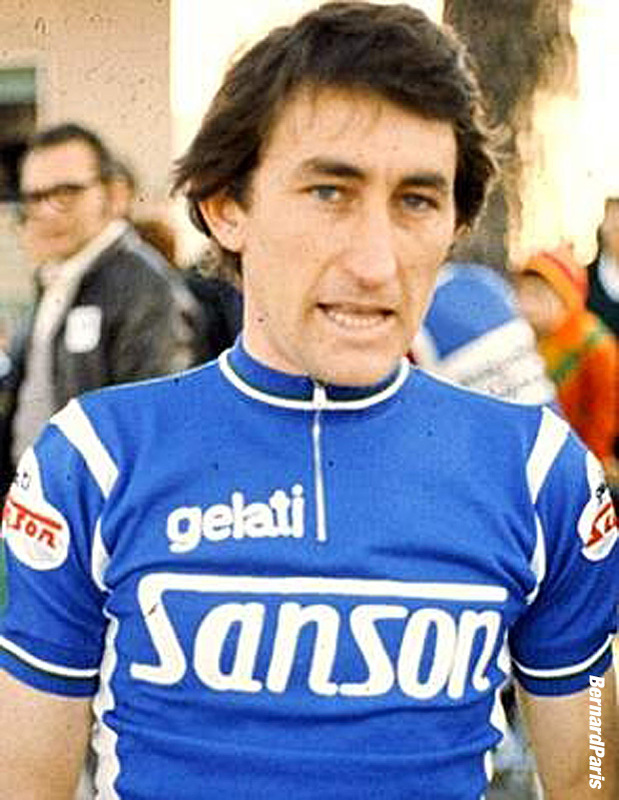 When I was with Moser at Sanson in 1977 Beccia was a neo-pro, you could see he was a good athlete and if he was in difficulty I would help him back to the gruppo. 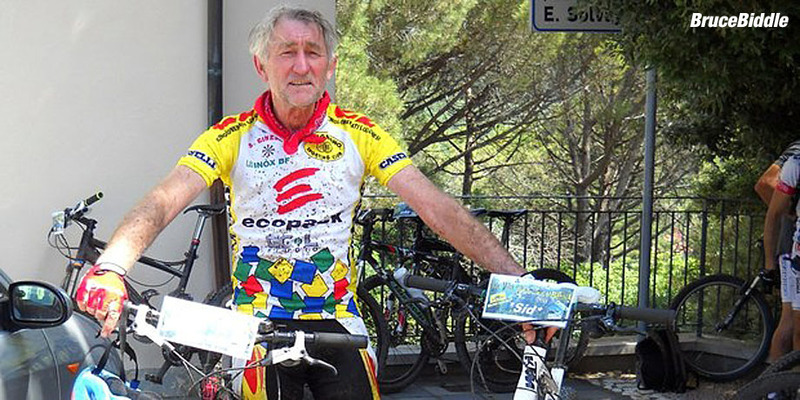 It took him a while to find his level, he hadn’t raced as an amateur – he’d been a cyclo-tourist and got the ride because he was a personal friend of the Sanson family. I always helped him when I could and he paid me back when he formed his own team after he left Moser. 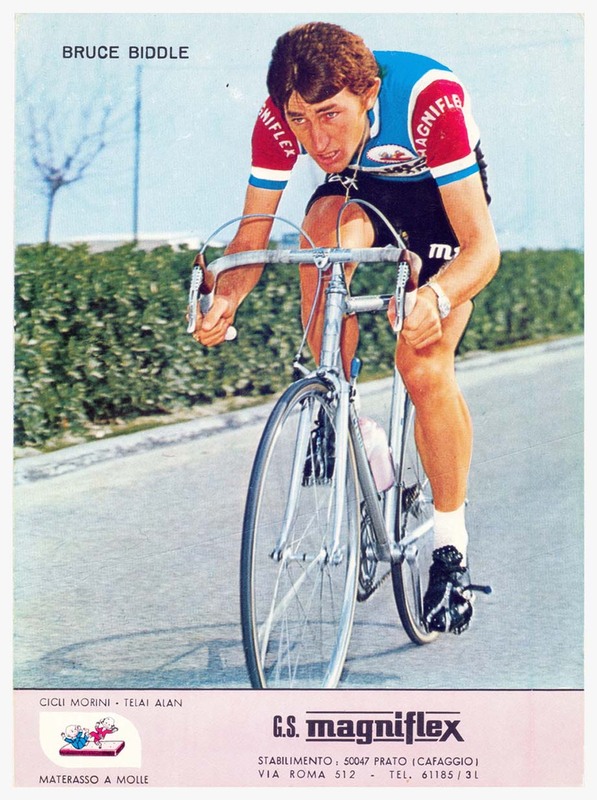 You could see he was a man of the mountains; he won Giro stages, the Tour de Suisse and the Flèche-Wallone. I signed the contract for 1979 with them after the Worlds at the Nurburgring in ’78. PEZ: No palmarès for ’79 though? I was run over by a lorry and had my legs broken, I was in hospital for months and the operations they performed on me weren’t the best. The hospital at Pisa used a new experimental plaster on me which was supposed to enable you to walk and help healing but it didn’t work - I think if they just used a normal cast on me it might have been different. This obviously didn’t help my preparation to ride for Mecap – not to mention the fact that the Zandegu, the DS didn’t exactly welcome me so I retired at 30 years-of-age. PEZ: Your Giro memories, please? Many would say it’s harder than the Tour and I think Froome should ride it one day to prove himself. 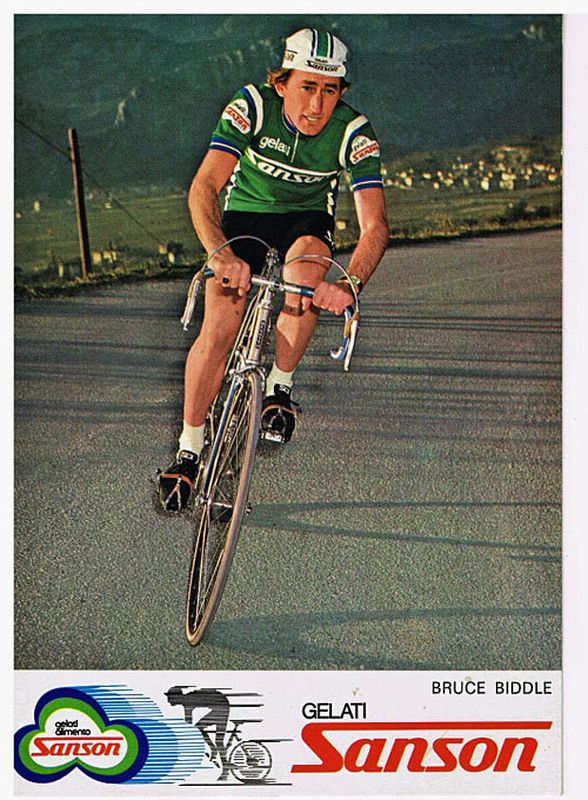 The scenery in Italy is fabulous and the organization is great, I never won a stage because I was working for team leaders but I have nothing but good memories of riding alongside some of the greats, Merckx, De Vlaeminck, Gimondi. But you could tell those men had something which we didn’t, they were so good. I learned so much riding in that race and loved the atmosphere the constant contact with the tifosi, you’re all part of the race – I adored my pro career. That career ending crash – I was never going to be a big winner but I was a reliable gregario. And maybe I should have gone to Italy earlier in my career. PEZ: And you’re still in La Bella Italia? I was bit nostalgic for New Zealand initially but I’ve formed a family here and done all sorts of work – albeit I had to cope with the Italian way of doing things and the paper work which goes with it. I had six great years as a professional and whilst it was difficult to settle in to ‘normal’ life I’m happy with how things have turned out – I realized my dream of riding pro in Europe. I see the New Zealand kids coming over to Europe, they’re so well organized and have all the latest training techniques – but to learn properly about racing you have to come to live and race in Italy. . .